Full report, analysis and post-mortem examination of England's Four Nations exit. 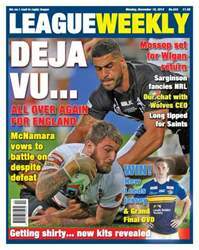 We also sit down for a chat with Warrington CEO Andy Gatcliffe . 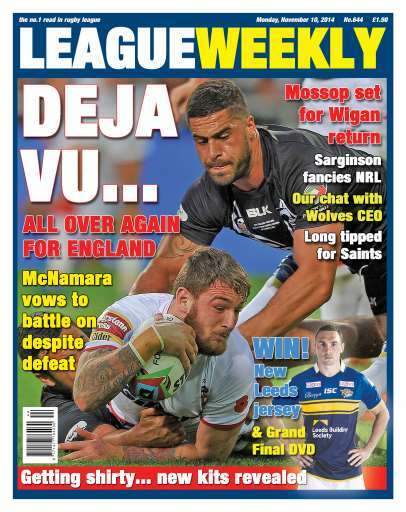 Plus we have all the news and views from around Super League, the Championship, League 1 and the amateur game. There are also two excellent prizes to be won, a Leeds Rhinos home shirt and a Grand Final DVD.